The name of your form is SONGAHM which means: "Pine tree temple." Pine tree is known as evergreen...Evergreen has strength the year round and a long life. Evergreen also is a symbol of unchanging human loyalty. "The sun is beginning to rise. As with the morning's dawn, only the beauty of the sunrise is seen rather than the immense power." 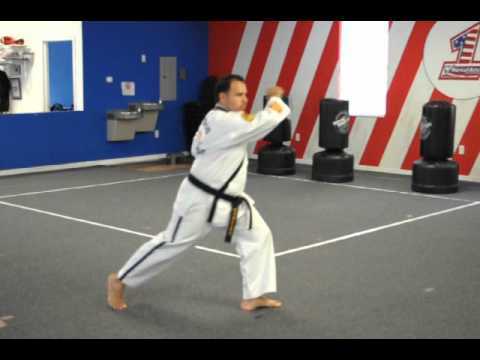 The beginner student sees the beauty of the art of Taekwondo but has not yet experienced the power in the technique.